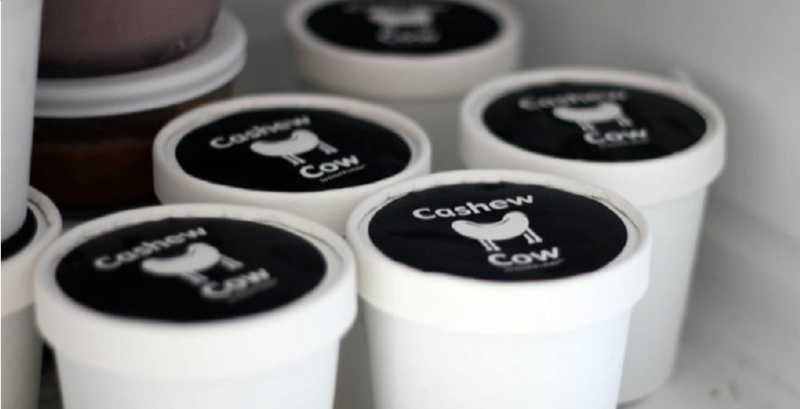 Cashew Cow is a healthy alternative to ice cream and gelato, using a cashew product. This makes their the frozen desserts cholesterol free and has less than half the saturated fat content as ice cream or gelato because they don’t use cream, dairy milk, eggs, or sugar.Made fresh daily on-site, our delicious desserts support a wide variety of diets and will appeal to all ice cream lovers. Relax with us at our parlor while enjoying a scoop of your favorite Cashew Cow flavor. We all scream for Cashew Cow!